Three games for the weekend that won't cost you a single cent. "Play as one of 10 mythical Chinese monsters such as Horse Face, Ox Head and Jiangshi, the Chinese Hopping Ghost, and begin the campaign to take over the world! Fight against humans and mythical monsters from around the world!" 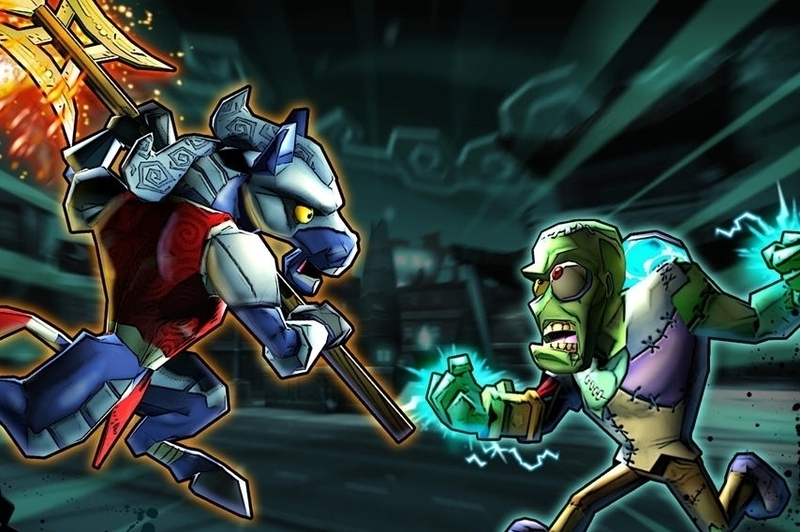 "Demon Dash is a fast-paced, ridiculously fun multiplayer mayhem that is played on a single touchscreen. You're able to play with one to four AI or human players simultaneously! Chaotic demon drivers need lightning-speed reflexes to dash their way to the finish before the challengers get there first. Are you up for the challenge?" "The kingdom of Tarethiel has been taken over by creatures of hell. Your mission is to cleanse the kingdom and free the citizen from the agonizing wrath of the demon child called Damien. Grab your axe, bow, gun or magic powers and start purging the Gate Keepers and their minions!"